This Up North Snowman wishes you and yours a chilly (but heart-warming!) yule tide. 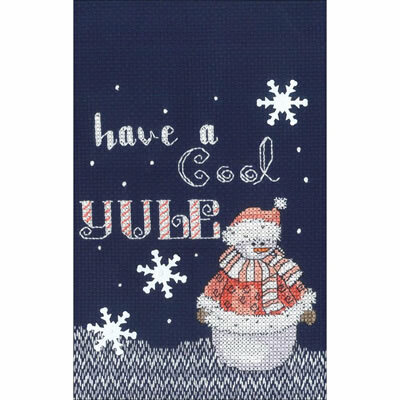 Full kit from Janlynn includes 14ct Aida, floss, snowflake sequins, needle, pattern, and instructions. The finished size is 5" x 7".